Our garden ALWAYS includes red bell peppers. Eating them fresh as a snack or as a side dish with dip, cut up into salads or sauteed in a stir fry, is there any other veggie so versatile? Of course, to preserve them, you could freeze or dehydrate them for later use, but my favorite preservation method is to can peppers. I love to can peppers! They are so useful for adding to sauces, or to pastas. You can chop them up and add them to salads, and top pizza. Talk about versatile! They do take a bit of work, but I believe the effort is worth it! To begin, you will want to preheat your oven to 450 degrees. Take a large roasting pan and place the peppers stem side up. Brush each one with a thin layer of olive oil, to coat. Bake for 5-8 minutes, until you see the skin blister. Remove, and place in a paper bag, and roll the top down on top of the peppers. Or, place in a large bowl and cover tightly with plastic wrap. Put your feet up and drink a tall glass of iced tea for the next 20 minutes or so. Once the peppers are cool enough to handle, the skins will slide right off. Remove the skins, seeds, and stems and feed to the chickens or compost. Place the peppers to be canned in a PINT jar. You don’t want to use quarts for peppers, as they are too dense to can safely in quarts. Press down, and cover with boiling water, leaving 1 inch headspace. Add the hot lid and band, screwing finger tight, and process in pressure canner for 10lbs pressure for 35 minutes. After the canner has cooled, remove the jars and allow to finish cooling in a non drafty area for 24 hours. Test the lids, refrigerating any that have failed. Remove the bands, wipe the jars and store for up to a year. Have you tried to can peppers before? What is your favorite way to use them? Be sure to pin this to your favorite board for later! That sounds like a perfet solutio for canning our peppers, which should be redy to start picking in a week or two … I freeze them as well, but I like the idea of roasting them even better! Do you have to use a pressure canner, or is just a hot water canner ok? 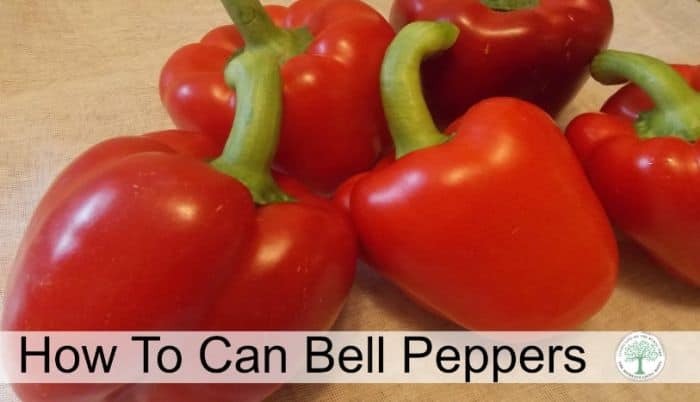 Bell peppers are a LOW acid food, for safety reasons, they MUST be canned with pressure.